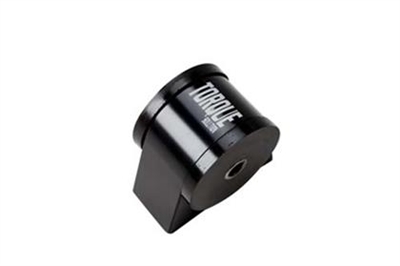 Torque Solution Engine Mounts: With Torque Solution engine mounts you will see and feel a difference in your vehicle. These mounts are made out of high grade billet aluminum material and steel. You can rest assure that with superior material and design you will get optimal performance for years and decades to come. The mounts feature 70 durometer bushings which keep vibrations down to a minimum while keep your engine in place under hard acceleration, cornering, and braking. Whether you have a street, strip or autox/road race built car, Torque Solution mounts will deliver the performance you need under all conditions. Torque Solution Front Engine Mount for the EVO X..